For the first time ever I’m actually happy on Valentine’s Day! Could it be because I actually have a Valentine? Nope. I ‘m just genuinely happy with life right now. After years of feeling sorry for myself and wondering what the heck is wrong with me, I’m finally got fed up with the swan song. The old me would have been embarrassed to admit that I’m 28 years old and have never had a Valentine. However, the new me is completely comfortable with ALL of my truth. No, I don’t have a special someone in my life, but that doesn’t make my life any less fulfilling. I actually enjoy getting to do what I want, when I want, without having to answer to anybody, but me myself and I! Don’t get me wrong; if the right guy came along I’d be more than happy to settle down. Just haven’t met him yet. In the meantime I refuse to sit around and wait for him. I have one life to LIVE and it’s not gonna live itself. I think too many women obsess over defining themselves through a significant other instead of realizing they were already significant to begin with. I want a partner in crime not a validation that I’m not “alone.” If you don’t know you’re a beautiful person inside and out before the guy, trust me it’s not going to change with one. Being single basically my entire life has given me the pleasure of knowing what type of person I am and what sort of mark I want to leave on the world. In a nutshell, it all comes down to LOVE. I want to make sure everyone I care about knows how unabashedly I adore them. I never want to settle for any relationship (friendship or romantic) whose negatives outweigh the positives. I’d like to be a beacon for the outsider/loner types and let them know that once you silence the negative voices in your head that cloud your mind, you’ll truly experience a freedom like no other. Love yourself and everything else will fall into place. I wasn’t the Homecoming queen. I didn’t get invited to one dance ever. I didn’t go on my first date till college. But don’t cry for me Argentina. Save your pity for someone that needs it! I kind of prefer the road less travelled. Just because I haven’t yet found someone to ride shotgun on my journey doesn’t mean that it won’t happen at all. Everyday has the potential for something great to happen. In the meantime, enjoy your life and do whatever makes your heart race. I had a great day today! 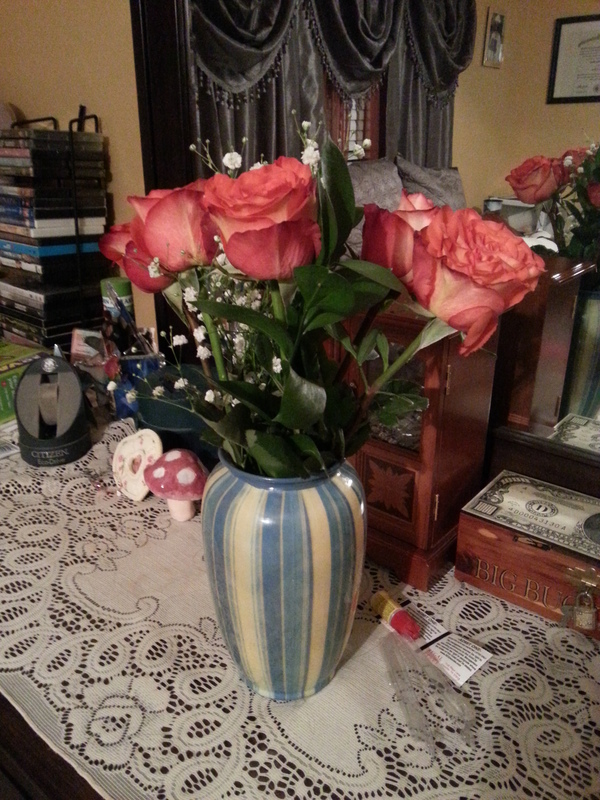 I got home from work and my dad had flowers waiting for me on my dresser. He’s done it every year that I can remember and I love and appreciate him for it. Not every girl is that lucky and I feel like an idiot for having to remind myself of that. I truly have a phenomenal group of people in my life that keep me grounded, give life meaning, and put things into perspective. 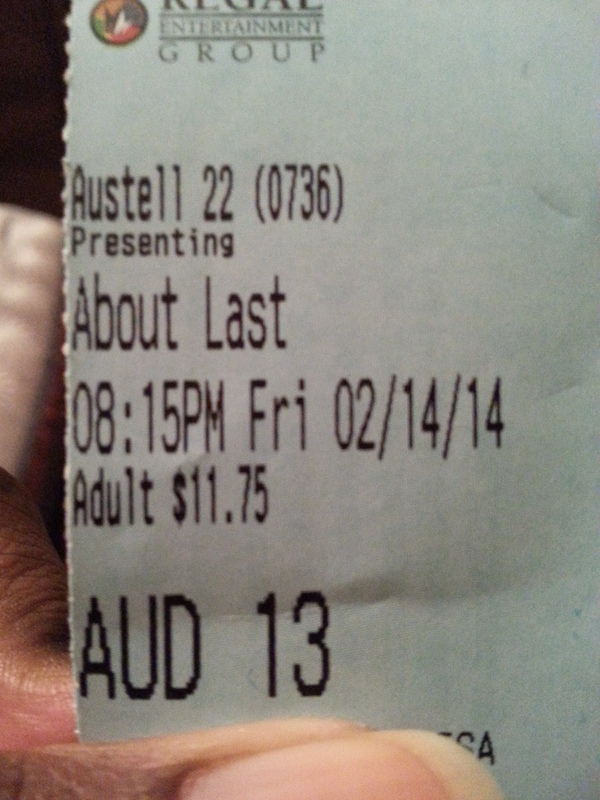 I know some may view my Valentine’s Day as pathetic or sad, but it was perfect to me. As long as I got to spend the day with people I love, then that’s more than enough for me;) In conclusion, if you were feeling lonely or more aware of your “singledom” (yep just made that up), cheer up buttercup! I’m sure you have plenty of people that love you too. Besides, tomorrow you can stock up on candy for super cheap!